If you’ve chosen to build your dream home rather than buy an existing one, it may surprise you to learn that you won’t be getting a traditional mortgage. Instead, you’ll likely get a construction loan. For your benefit, I’ve put together a primer on construction loans. Keep reading to learn what these loans are, how they work, as well as some of the pros and cons of using one to finance your home. Construction loans are higher-interest, shorter-term loans that are used to cover the cost of building or rehabilitating your home. Unlike a traditional home loan, which is based on the fair market value of the home and determined by the home’s condition in comparison to other recent sales, construction loans are based on what the projected value of the home will be once the work is complete. Construction-to-permanent loans: These loans are good if you have definite construction plans and timelines in place. In this case, the bank pays the builder as the work is being completed. Then, that cost is converted to a mortgage at closing. This type of loan allows you to lock interest rates at closing, which makes for steady payments. Construction-only loans: Construction-only loans must be paid off in full once the building is complete. It’s a good choice if you have a large amount of cash to work with or you’re confident that the proceeds from the sale of your current home will cover another build. Here, if you need a mortgage to cover the cost, you’ll have to search for the lender yourself and be approved a second time. Renovation construction loans: This type of loan is used if you’re buying a fixer-upper. In this case, government programs are available and the projected cost of any renovations you plan on doing to the property is wrapped up in the mortgage, along with the purchase price. Traditional loans are paid out by a mortgage company to cover the cost of the home in one lump-sum at closing. In contrast, construction loans are paid out in installments. A bank will pay the builder as various phases of the building process are completed. The total cost is transferred to you once the entire project is finished. These installments are called “draws.” Each draw reimburses the builder for the costs needed to cover that phase of building, meaning that they—or you—have to have enough cash on hand to cover these costs upfront. Before each draw can be made, the bank will do an inspection to verify the estimated cost of the current phase of building, as well as how well the builder is moving on their projected timeline. Since the financing of a construction loan is so variable, it’s crucial to work with a good builder. You need someone who’s experienced with budgeting and scheduling and who also has the ability to work well within those limitations. Make sure you do your research before applying for a loan, so you end up with someone reputable. What are the benefits of a construction loan? They’re interest-only during construction: Since the loan isn’t paid out in full until the new construction is complete, the bank doesn’t ask you to start paying down the principal until then either. During construction, you’ll only be expected to pay lower, interest-only payments on the loan, giving you more time to save. They have flexible terms: Though you’ll need to provide the bank with specific plans for your project, construction loans offer much more flexibility in terms of loan terms and guidelines than traditional loans do. To a certain extent, you’ll be able to work your loan terms around your needs for the project. 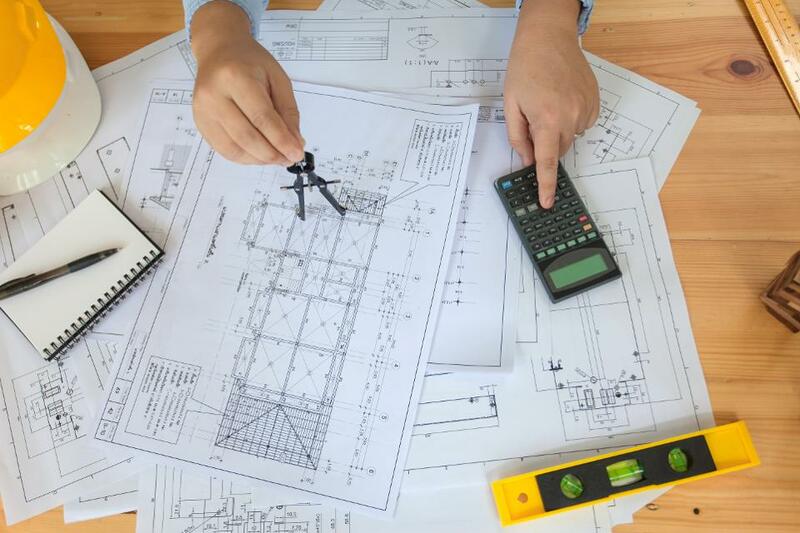 The added scrutiny provides structure: Though added scrutiny may not seem like a good thing at first glance, during the building process, it can actually help ensure that your project stays on budget and schedule. What are the disadvantages of a construction loan? They’re harder to qualify for: Since construction loans are so flexible, they often come with higher qualifying standards in terms of credit and downpayment. Typically, a score of at least 680 and a down payment of at least 20% is needed. They have higher interest rates: Construction loans typically have variable interest rates that correspond to a certain percentage over the prime rate, or the rate that banks give their best customers. For example, if the prime rate is 4% and your loan rate is prime plus 2%, you would pay 6%. Shorter-term loans are a risk: Especially if you’re going for a construction-only loan. At the end of the loan term, you need to be able to pay off the loan in full. If you’re going this route, make sure you have a way to pay off the loan, even if your original financing falls through. This article was written by Tara Mastroeni from Forbes and was legally licensed through the NewsCred publisher network. Please direct all licensing questions to legal@newscred.com.